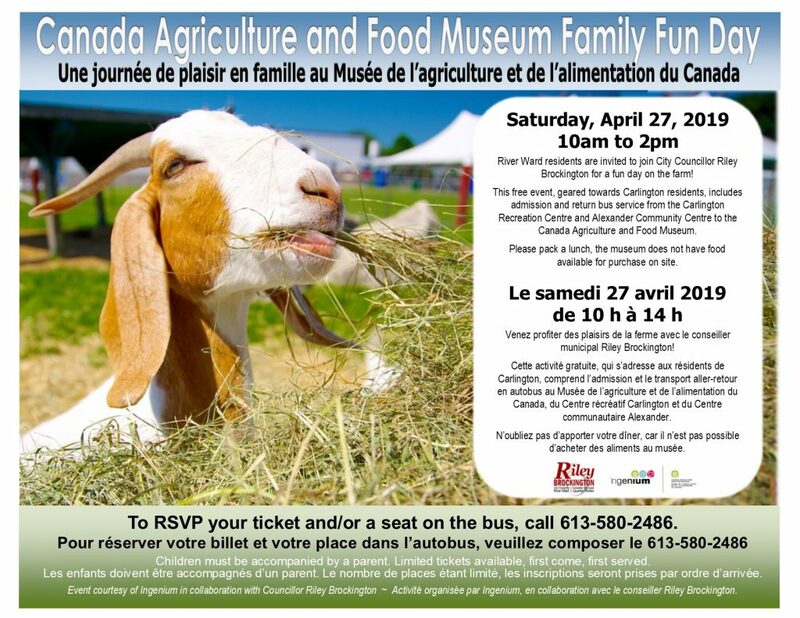 River Ward residents are invited to join City Councilor Riley Brockington for a fun day on the farm. Limited tickets – first come, first served. Children must be accompanied by a parent. Please pack a lunch the museum does not have food available for purchase. For Carlington Residents there will be a free round trip bus service from the Carlington Recreation Centre (1475 Caldwell Ave) and Alexander Community Centre (960 Silver Street).